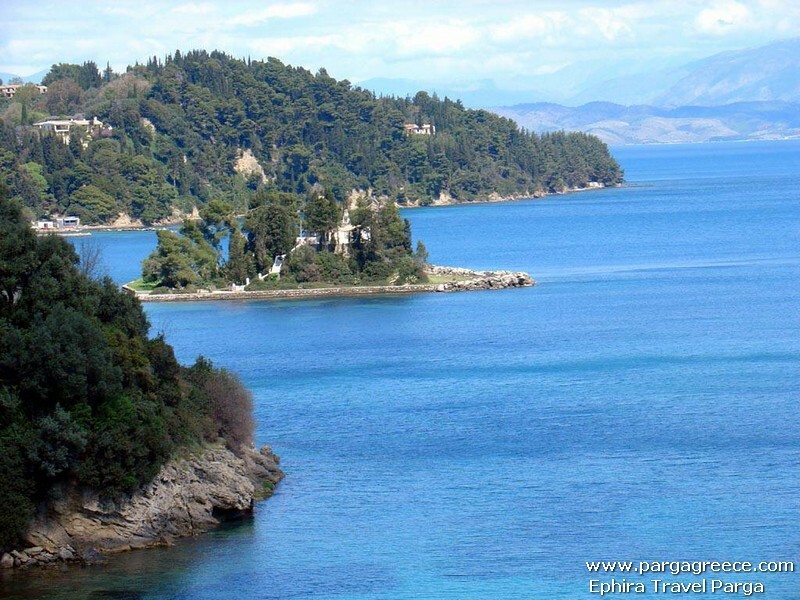 A day trip to Cosmopolitan Corfu s,By Bus and Ferry (Via Igoumenitsa) to Corfu island,(island of Feakes).The island is bound with the the History of Greece from the beginning of Greek Mythology.Its Greek name, Kerkyra or Korkyra, is related to two powerful water symbols: Poseidon, god of the sea, and Asopos,an important Greek mainland river. According to myth, Poseidon fell in love with the beautiful nymph Korkyra, daughter of Asopus and river nymph Metope, and abducted her. 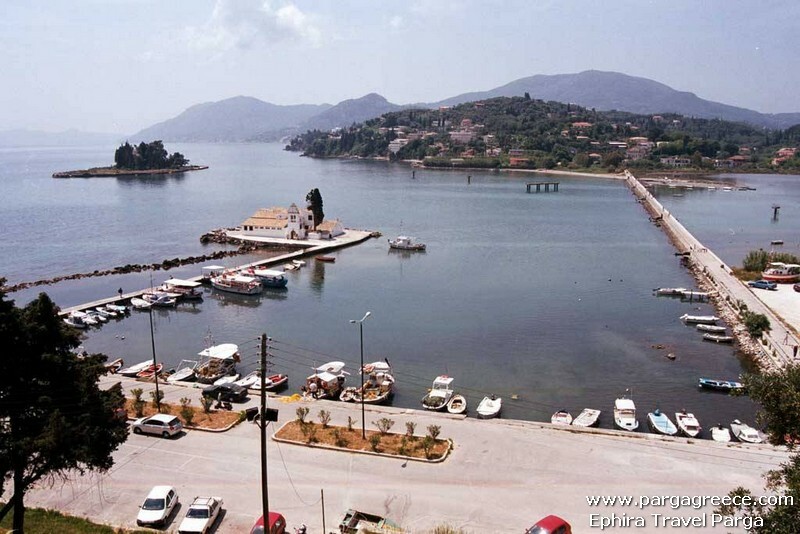 Poseidon brought Korkyra to the hitherto unnamed island and, in marital bliss, offered her name to the place: Korkyra, which gradually evolved to Kerkyra. 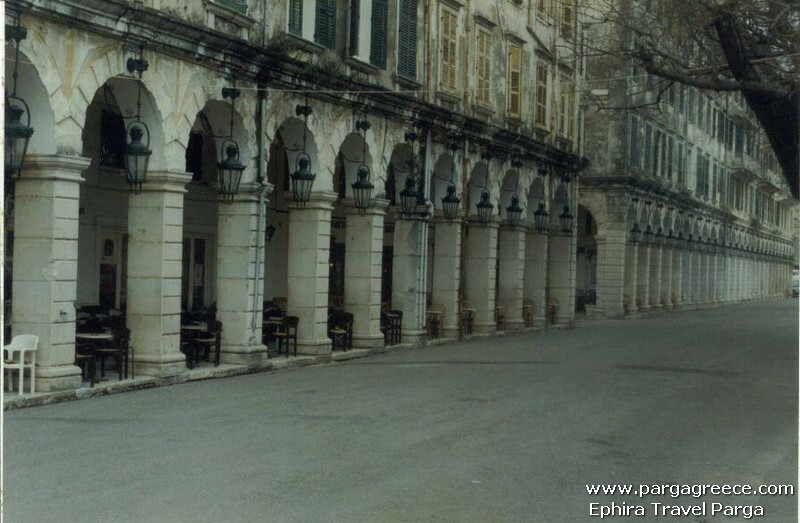 Our first visit will be In in the Historical centre of Corfu, whre we can visit: San Spyridon church( The Patron of the island, but originally from Cyprus Saint Spiridon, after whom the church is named is though to have saved the island four times from grave dangers and has so become the most important saint of the island. 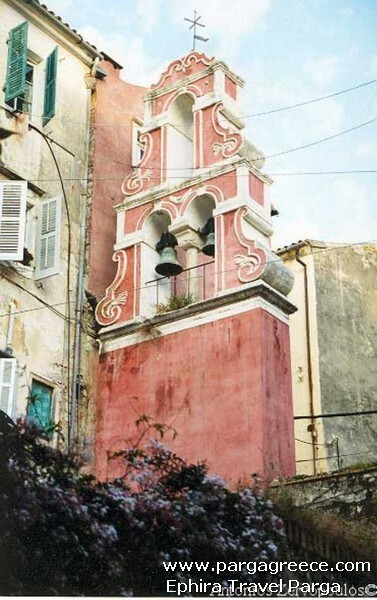 The architecture of the church is typical of the Venetian architecture that dominates all over the Old Town of Corfu. 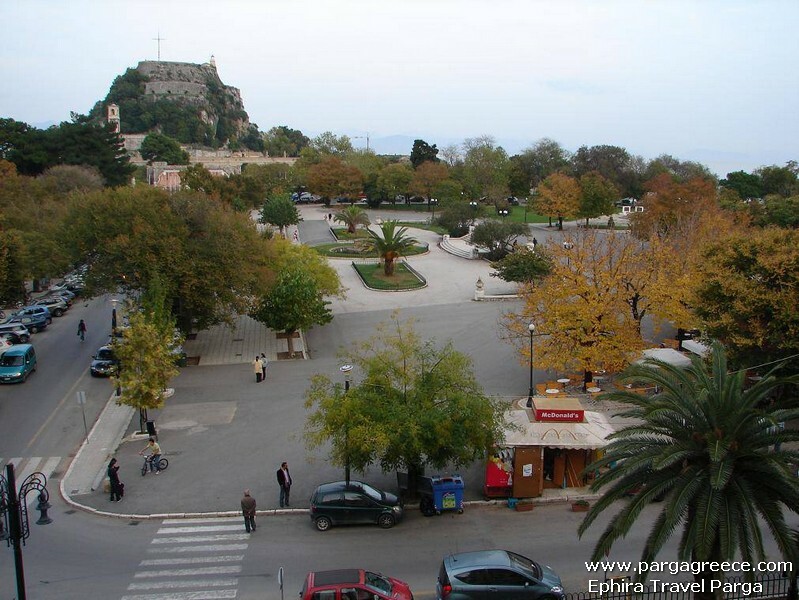 Its bell tower is the highest spot of the town.Spianada famous square of Corfu centre.At the end of Spianada Square you will see the statue of Ioannis Kapodistrias, the first Governor of the liberated Greece. He was born in Corfu in 1776. The statue was unveiled in 1887 and was created by means of donation made by a professor of the Ionian Academy who was a great admirer of Kapodistrias.Our staying in Historical centre of Corfu is around 4 hours.Then with the Bus we visit Kanoni Peninsula, the church of Panagia Vlacherna and the Mouse Island in Corfu:The location of Kanoni with the church of Panagia Vlacherna below and the Mouse Island (Pontikonissi) are the most famous and photographed spots of Corfu. 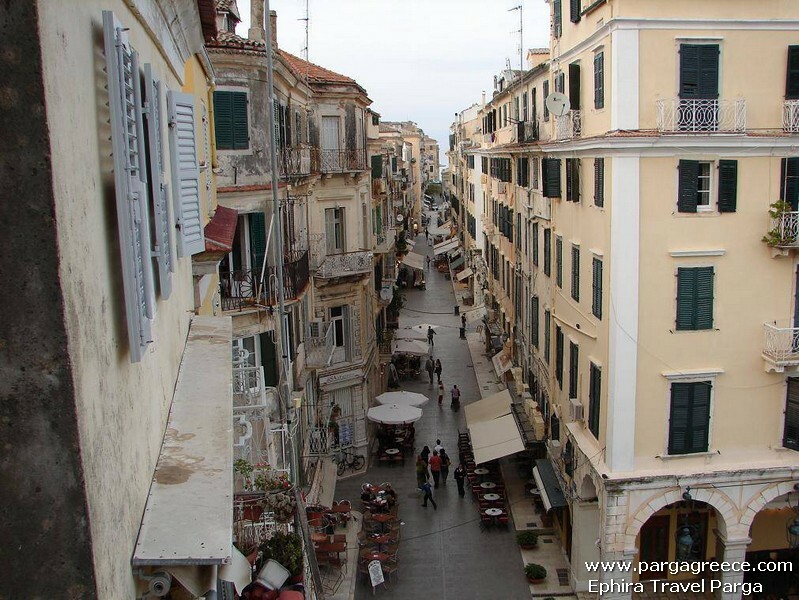 Kanoni is actually a quarter of Corfu Town, just a couple of kms from the city centre. It took its name from an old cannon that stands on top of the hill. This hill is lush green and has many luxurious hotels and local residences. 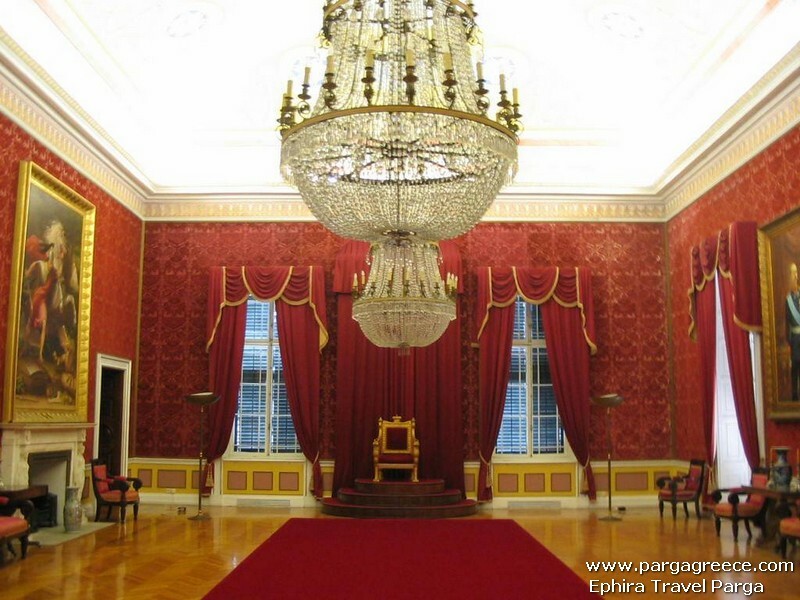 Achillion and Sissy palace(Entrance extra to pay Euros 7).The Achilleion Palace was built by Empress of Austria Elisabeth of Bavaria, also known as Sisi. Elisabeth was a woman obsessed with beauty. She had a very powerful, but tragically vulnerable character since the loss of her only son, Crown Prince Rudolf of Austria in 1889. 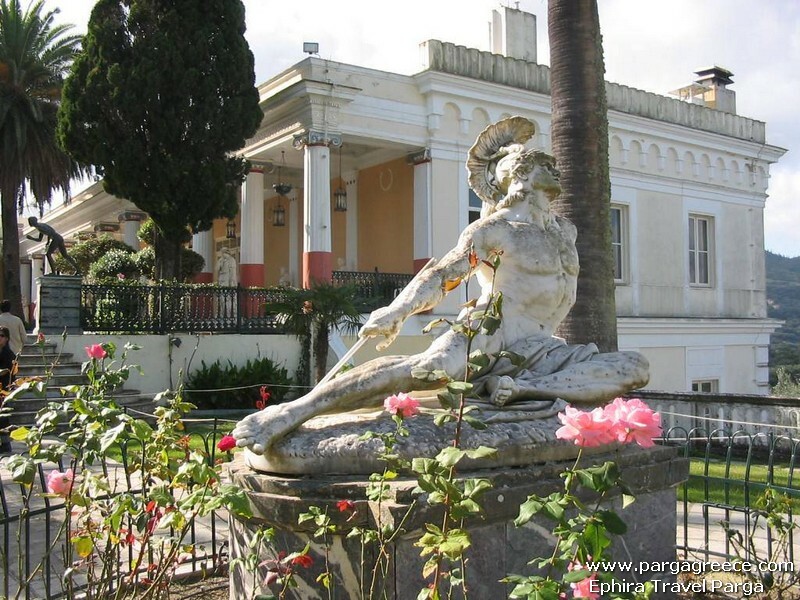 A year later in 1890, she built a summer palace in the region of Gastouri, now the municipality of Achilleion, about ten kilometres to the south of the city of Corfu. 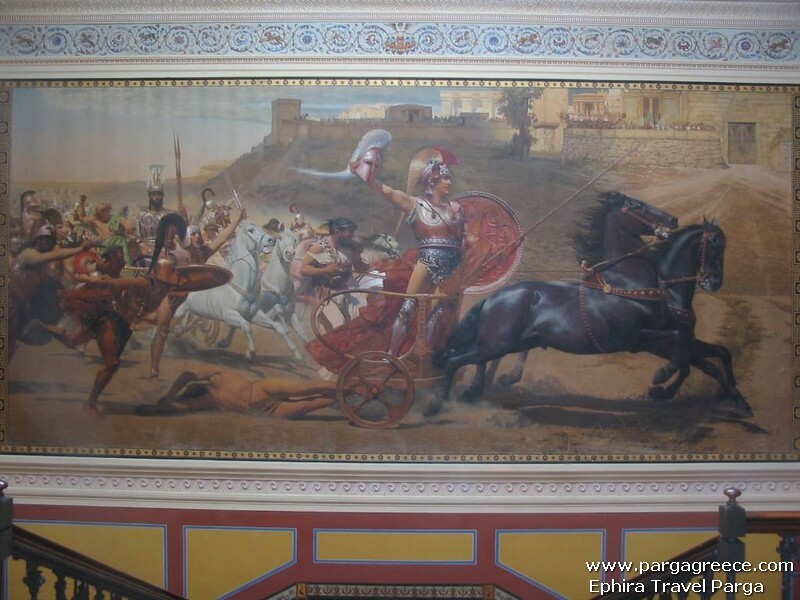 The central theme of the palace is the mythical hero Achilles. 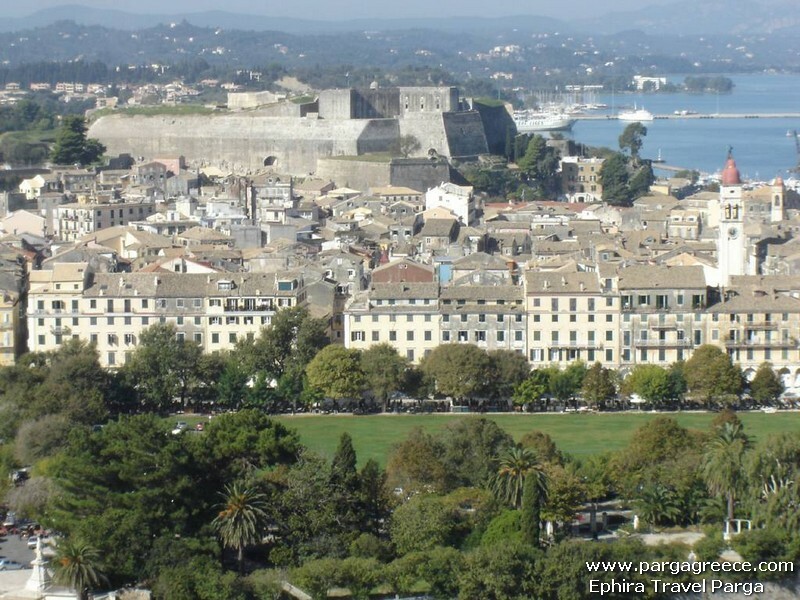 Elisabeth spoke fluent Greek and expressed a desire to further immerse herself in the Greek culture. Like every other European royal, she had some Byzantine emperors among her distant ancestors. 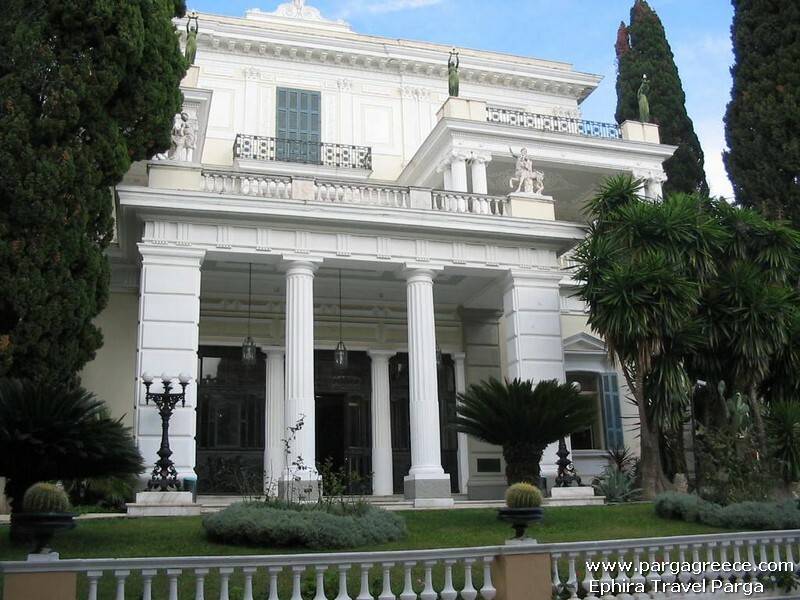 Elisabeth was given the property by Corfiot Petros Vrailas Armenis who was rewarded by Elisabeth with a large diamond-encrusted brooch to be passed down to the wife of the eldest son. New Fortress.Not far from the old harbour there is the New Castle. The construction of the castle began in 1577 under the Venetians and it was completed together with the town wall in 1588.Old Fortress:Perhaps the most impressive view of the Old City is from the peak of the Old Fortress which gives you a 360 degree bird's eye view of not only the city but the surrounding waters, mountains, mainland Greece and even the mountains of Albania.The Old Castle is the best known and most famous castle in Corfu. 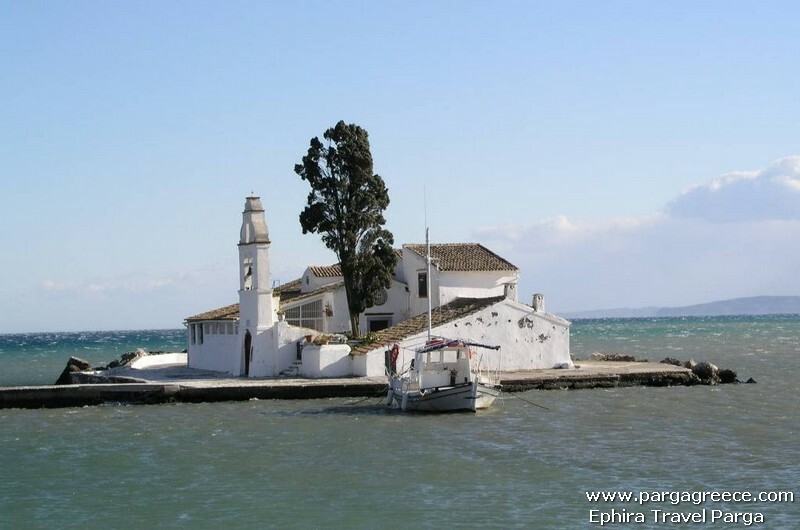 Its history is closely connected with history of the island. It is situated on a rocky peninsula and has two peaks. The castle is 600 m long and 200 m wide and dates back to the Byzantine period. The Byzantines were the first to fix the eastern top of the Acropolis and named it the Sea-Tower. At those times the city of “Koryfo” was founded. 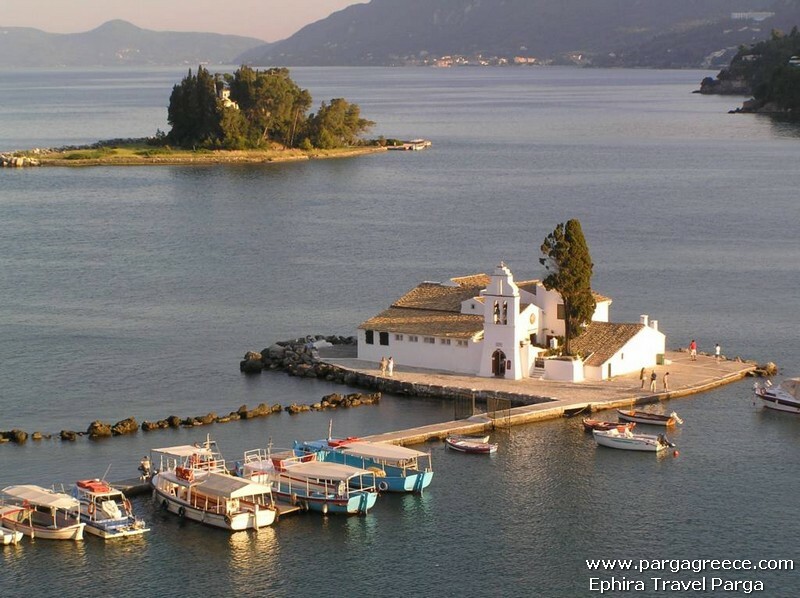 One of the versions of the Island’s name says that it originates from the word “koryfi” meaning peaks. 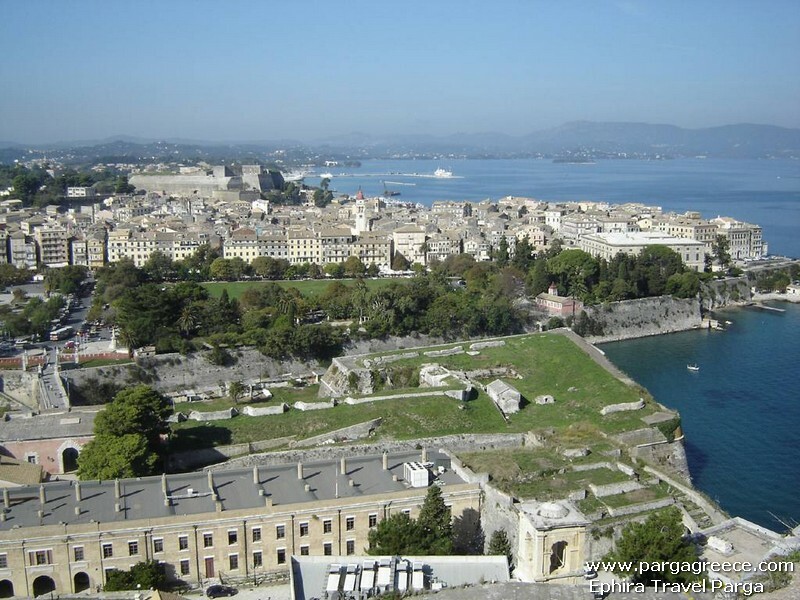 But the main fortification was built by the Venetians (1402-1797).The peninsula was separated from the island by a moat and two enclosure-walls were built in front of it. Under the castle there was a labyrinth of arched ways and tunnels up to the top to the rock which formed a perfect underground connecting system.In 1864 the Greek flag finally was placed over the Old Castle after centuries of occupation that the island of Corfu lived through.Today it is a pride of the locals enjoyed greatly by thousands of visitors every year, the place where international and local artists arrange their concerts throughout the summer months, a part of the Ionian Academy is also situated in the Old Castle.As we stay in the Historical centre for abour 2 and a half hours,there is a possibility for a short swimm(for those they wnat) in the close by Garitsa place.Departure with the Ferry of 17.45 from Corfu port and we arrive in Igoumenitsa old port at arround19.10 and we will be in Parga around 20.00. Price per Adult Euro . Price does NOT include the entrance in Achillion,Sissy Palace.